Angelica from the island of Terceira, produced by Adega Brum, in the parish of Biscoitos. Angelica from the island of Pico, produced by Adega de Sant'Ana, in the village of São Roque do Pico. Angelica from the island of Pico, produced by Cooperativa Vitivinicola da Ilha do Pico. Angelica from the island of Pico, produced by AM Costa. 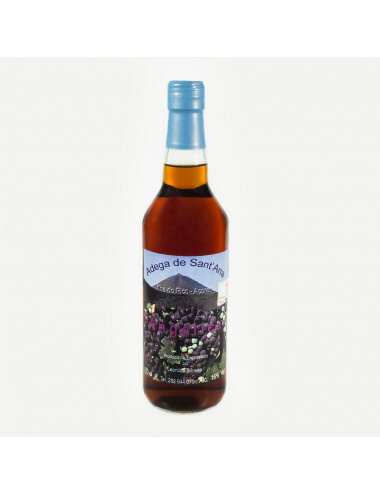 Liquorish wine (sweet) grown in the north of the island of Terceira, in the parish of Biscoitos. Bottle of 750 ml. Liquorish wine (medium dry) grown in the north of the island of Terceira, in the parish of Biscoitos. Bottle of 750 ml. Liquorish wine (dry) grown in the north of the island of Terceira, in the parish of Biscoitos. Bottle of 750 ml.